I was late to last week's Ten Things of Thankful party, linking up with only 45 minutes to spare four days ago. I'm going to be away from my computer starting later today and through the extent of the link-up time. (John will be home, though, so the house isn't unattended.) Because of that, I am writing another Ten Things of Thankful post today. 1. For my upcoming trip to California. Grandchildren, here I come! 2. For the bulbs that are popping up in my yard. We started renting this place in the summer, so the flowers were a nice surprise. 3. The work on the house we bought continues. The granite went into the kitchen this week. All that is left now in the kitchen is mostly behind-the-scenes work, like connecting the plumbing and some electrical jobs. 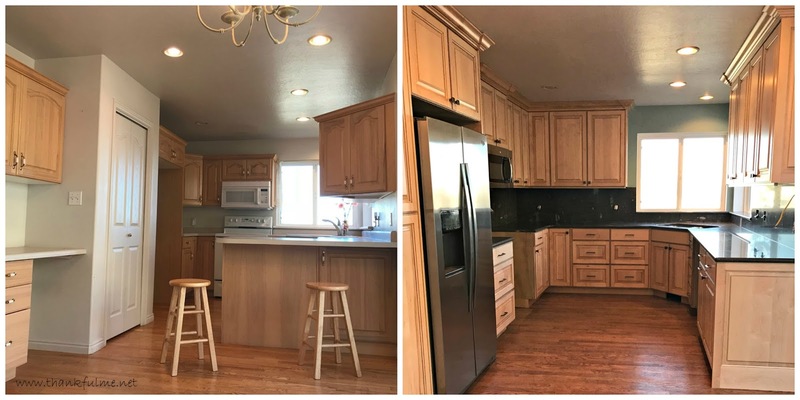 Photo: A before and after collage of the kitchen as it was when we bought it, and now with a more open floor plan, new cabinets to the ceiling, and a dark granite counter and backsplash. 4. For good companies, that do what is needed to make right a mistake by their workers. 5. For good neighbors, both in our current neighborhood and in the one we are moving into. 6. For individuals who share their talents. 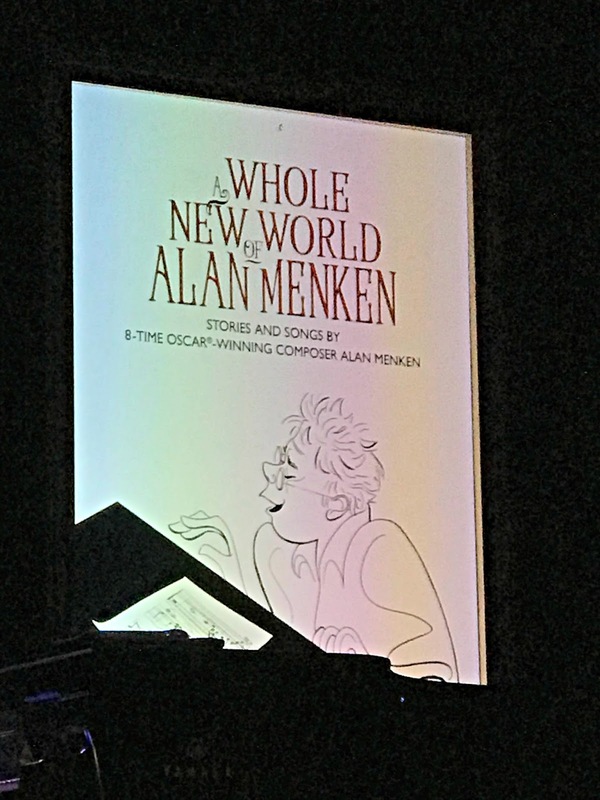 John and I attended a concert by Alan Menken this week. John's comment coming out of the concert hall was, "This was a lot like a Beach Boys concert; almost every single song was familiar to me." Alan Menken composed music for many of the Disney films, as well as Little Shop of Horrors and other plays. 7. For various financial tasks completed. Taxes are done and the budget has had its periodic re-working. 8. For television. I'm not much of a watcher--my parents got rid of our set when I was a child, and quite frankly, there are better things to do than watch TV, but I do enjoy a show or two occasionally. Specifically, I'm glad that the X-files has returned for a short season again this year. 9. For another race. John and I are running a 10K this morning to benefit cancer research. I'm a little anxious. This is only our second Utah run since moving here. Even though the first was half the distance, it was a bit rough; we hadn't fully adapted to the altitude yet and we started at a faster pace than we should have. This time around we should do better. Our lungs are used to the altitude, and we're trying to remind ourselves that most of the runners are at least half our age, so we aren't expected to keep their pace. Wish us luck! 10. For John. I love racing into the future with him. What are you thankful for this week? I love reading your comments, and reading the posts of those who link up. I'll be late in responding, as my phone doesn't always allow me to comment (particularly on wordpress blogs) and I will be busy with my grandchildren, but I will try to catch up when I return. Thanks for your patience! Good luck in your race. I enjoy watching the progress on your new home and yay to contractors who rectify a mistake. I am discovering a few signs of spring and I am very anxious for that. Have fun on the trip to see your grandchildren. I have one sweet granddaughter that lives an hour away by car and I miss her every day. They enrich our lives so. Have a good week. I love to see the signs of spring. This year is particularly exciting, because I'm discovering bulbs that I didn't plant popping up in the yards of both the house we are renting and the house we are moving into. Wishing you a wonderful week - safe travel and special hugs from your Grands! I imagine your race is over by now. I hope that it went well for you two. I thought about you this morning. It sounds like you had a good time at the concert. 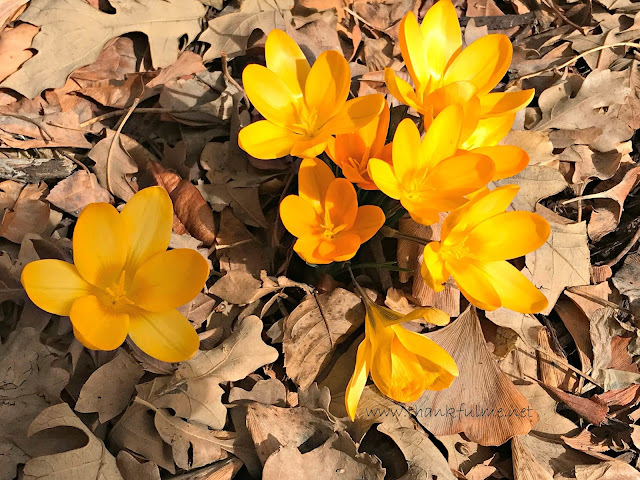 What a beautiful photo of your crocuses! Safe travels, etc. Hope all goes well. The week went well, and now I'm back in Utah adapting to the time change! Hope you are having a great time, and so much fun that you don't see the comment until the trip is over! I'm back in Utah now, but I did have a great time! Amazing your running thing. Despite my enjoying last weekends labor cutting up the two fallen trees, I can't imagine being able to run a 5k (never mind a 10k) race! Excellent before and afters of the kitchen project. Flowers already? Not here (southern New England) although the ground is no longer as stone-frozen hard as it was most of the winter. "Run" is an optimistic word. My pace is more like a plodding jog. I love how you guys do things...attend concerts...run races together. You're starting over, in a new place, and love granite counters. Solid, like the two of you it sounds like. Love the yellow flower. Enjoy your time with your grandchildren. We love to spend time together, and fortunately, we enjoy many of the same things. You're very lucky to have good neighbors in both places. Not everyone is so fortunate. I'm happy to hear someone else besides me is enjoying the return of the X Files! I like seeing Muldur and Scully written "real time", being the older version of themselves. No pretense to make them appear younger. Oh, yes, I really am glad that Mulder and Scully have aged like the rest of us. I think the show is going after the original viewers, rather than trying to capture a younger audience, and I appreciate that. Great list of thankfuls. We love the X- Files, except last night's episode was too gruesome for our taste.